Ever wonder what it would be like to play a very, very ancient game? Discover the heart of Gaelic Games. 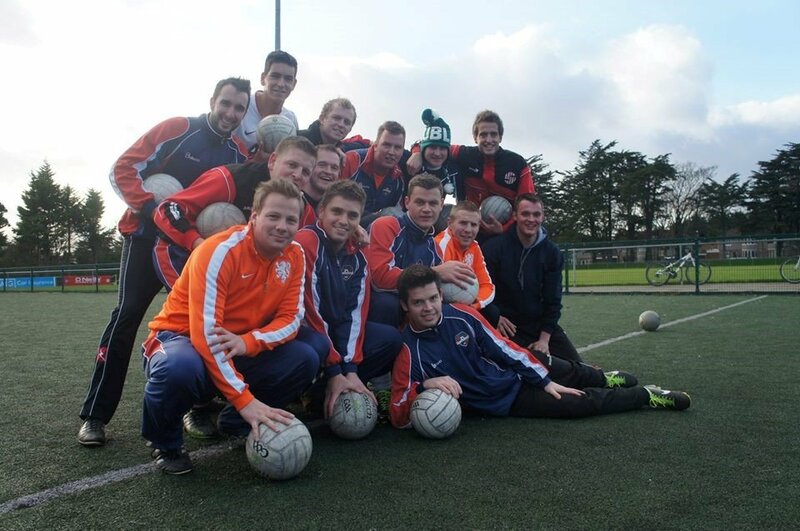 Experience Gaelic Games offers you the opportunity to play three! All in a fun filled atmosphere – a great experience for all the family, the friends and the team! ~We will lead you to the heart of Gaelic Games. Take the popular games of Soccer, Rugby, American Football, Aussie Rules, Volleyball and Basketball, then mix their attributes and you come up with Gaelic Football . To amaze you further you will be unleashed onto a Hurling field. You will be led by our fantastic coaches who will hone your skills from Golf, Hockey, Baseball or Cricket. Your skills will be tested as you develop the ancient techniques of the world’s oldest stick and ball game! You will be thrust into an ancient culture which is a key component in everyday life on the island. “Do as the Irish Do” and come play with Experience Gaelic Games. To top it off Gaelic Handball incorporates the basics of Squash, Racquetball and Tennis only you won’t be equipped with a racket hence the name ‘Handball’. So, bring your mixed bag of sports and we will put them into play! Simple games, played simple by simple people! Experience Gaelic Games want you to experience this historic sport in a fun filled day. So, try your hand at Gaelic Games via Experience Gaelic Games today, a fun activity in Dublin for all the family.